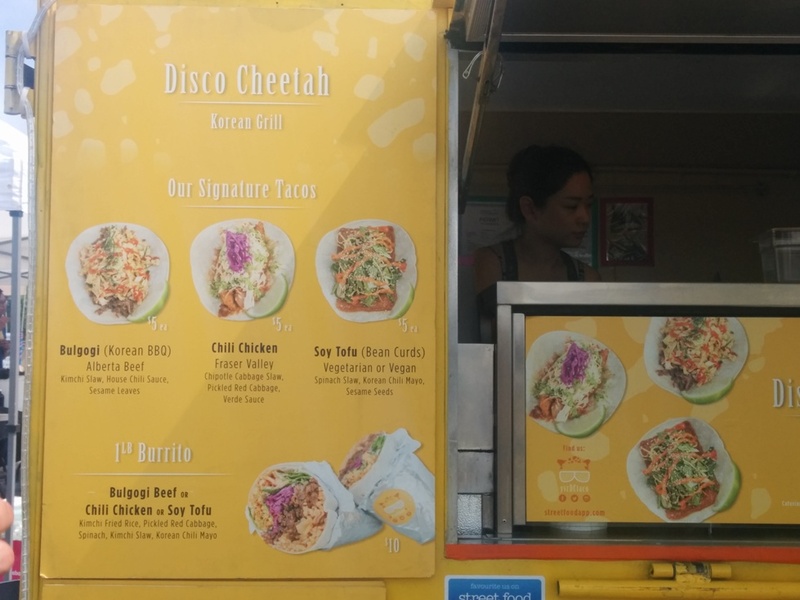 I’ve previously tried Korean-Mexican fusion food before at the Disco Cheetah food truck and it was pretty good so I was interested in trying a similar concept at TAKO or Taqueria Koreano. They are just outside the Stadium Chinatown skytrain station which is extremely convenient! I work close to Waterfront station so I just hop on the train for a few stops to get here for a quick lunch. 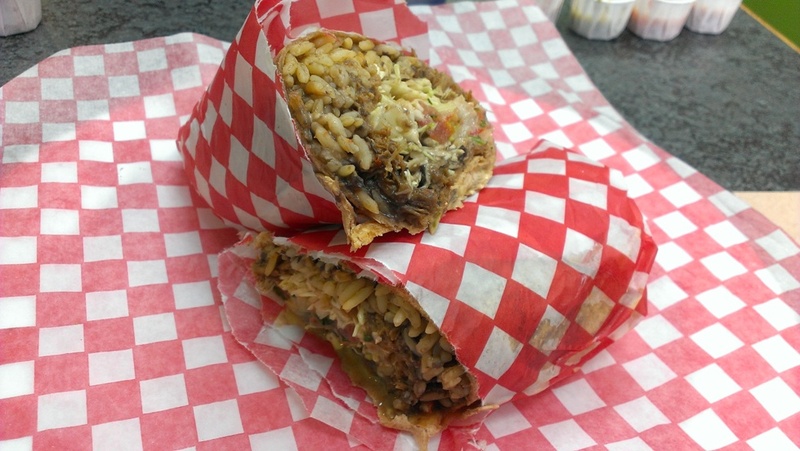 This entry was posted in Asian, Food Reviews, Korean, Mexican/South American and tagged burritos, poutine. I dropped by Chipotle for a quick lunch but it turns out the lineup was super long. I decided to stick it out anyway since I wanted to try it. 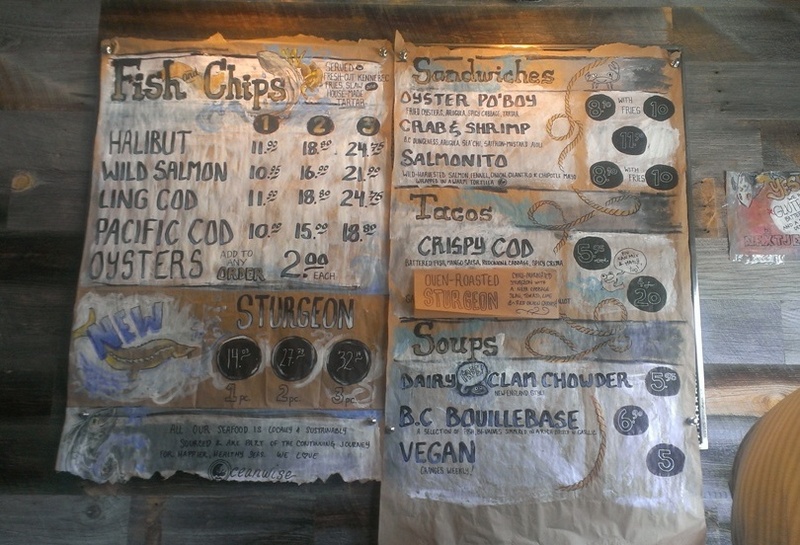 Also, as luck would have it, the lineup virtually disappeared five minutes after I order. 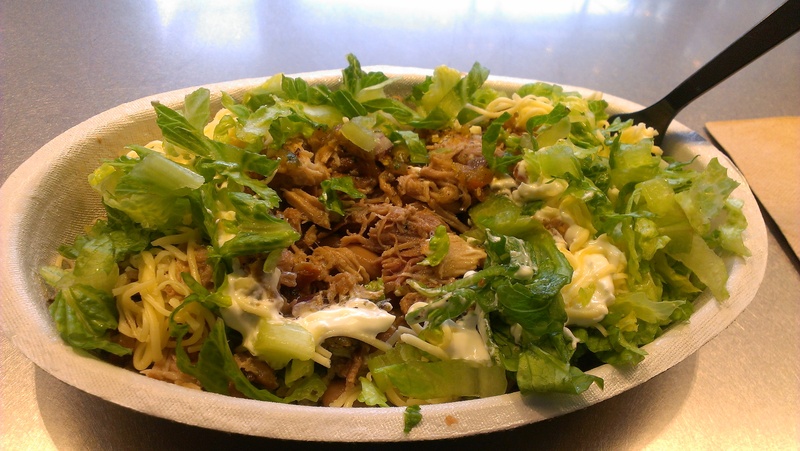 At Chipotle you have a choice of getting either a burrito, tacos, a bowl or a salad. 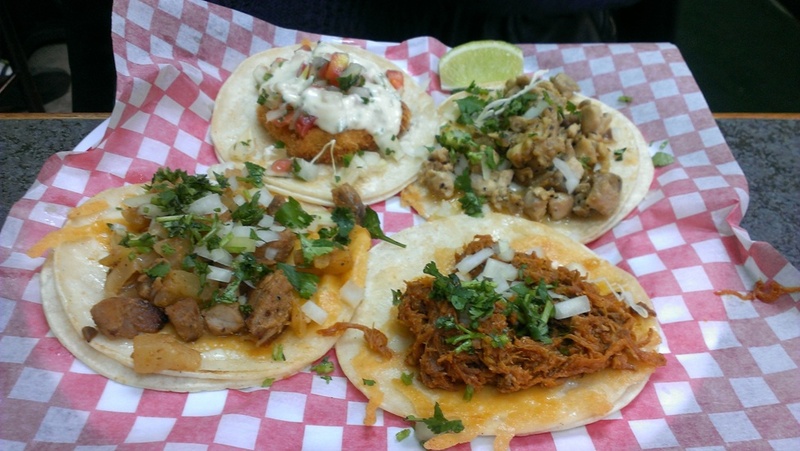 For the meat you have a choice between carnitas, barbacoa, steak and chicken? 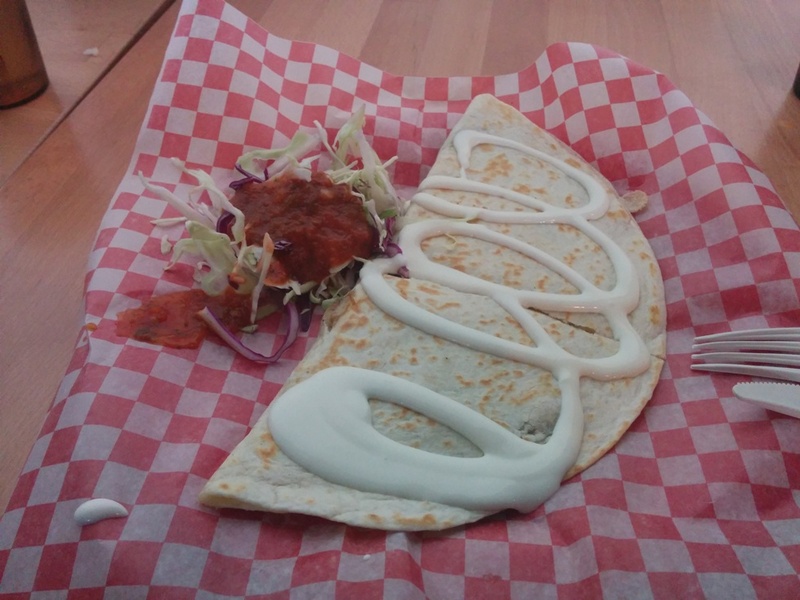 They also have sofritas which is their new vegetarian tofu option. All the options cost $8.95. I decided on getting the bowl which is basically the burrito without the tortilla wrap and that should save me some calories right? The funny thing was that they do kind of list the calories on their menu but it’s listed as a range such as 200-700 or something which isn’t useful anyway. This is the bowl I ended up with. 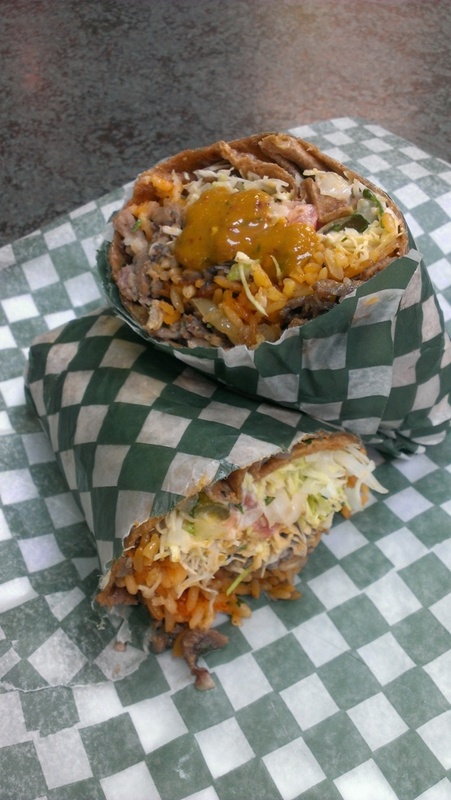 It has carnitas, cheese, pinto beans, sour cream, mild and medium tomato salsa, cilantro-lime rice and lettuce. When everything was mixed together it did taste pretty good but I had expected the carnitas to be a bit more flavourful but it was good when you mixed in everything else. You can also ask for more or less of a certain ingredient if you want. Overall, it wasn’t anything mindblowing to me, Maybe it would’ve been better if it had been in a burrito and then I wouldn’t have been able to dissect everything. It also felt overpriced for just the bowl or the salad too. I would rather spend my $8.95 somewhere else. 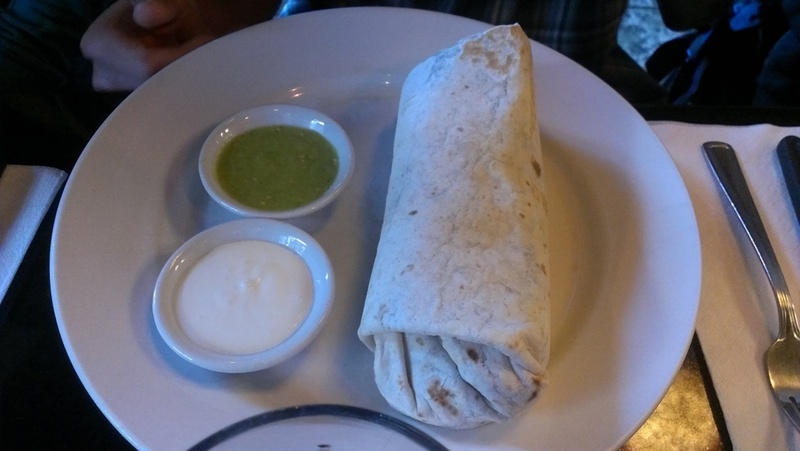 This entry was posted in Fast Food, Food Reviews and tagged burritos, carnitas, Tex-Mex.